Is there more to Russian politics than Putin? 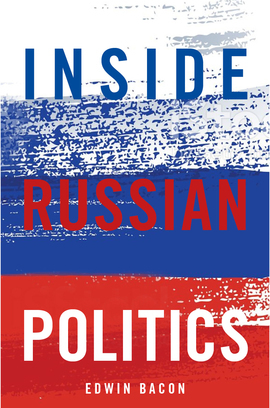 Inside Russian Politics is an intelligent, critical and engaging account of the realities of contemporary Russian politics. It is distinctive in widening our view of Russia beyond the standard account of global power plays and resurgent authoritarian menace. Putin matters, but he is not Russia. Russian military adventurism has had a major effect on contemporary international affairs, but assessing its aims and projecting future intentions and impacts requires analysis within a context deeper than the stock ‘Cold War renewed’ story. The holistic approach of this book facilitates our understanding of power politics in and beyond the Kremlin and of Russian policy on the international stage. Revealing the Russia beyond Moscow and the central figures around Putin, Edwin Bacon focuses on Russia’s political present, not to ignore the past but to move beyond cliché and misleading historical analogy to reveal the contemporary – and future – concerns of Russia’s current generation of politicians.